The SLT-9.5 log splitter has an 9.5 ton thrust and can split logs of various sizes, up to 63 cm in height. The manual mechanism lets you work in 3 different positions: vertical, horizontal, and 45°. 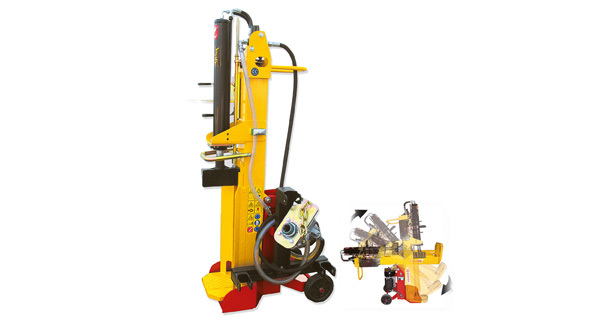 It is equipped with wheels for moving it, a large reinforced working table, an automatic adjustable “end-of-stroke control” system, and special safety devices that protect the user. OPTIONAL EXTRAS: Pump with left rotation; splitting cross.